Need to Repair or Install a Fence in Wellesley, Massachusetts? 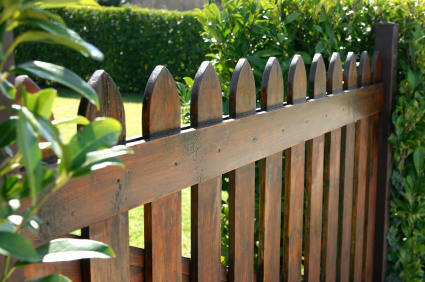 J. Mota Services has offered Wellesley fence services for over 12 years. They offer Wellesley homeowners an affordable solution for creating privacy and security around their Wellesley homes while adding value to their property. Additionally, J. Mota Services has the skills necessary to rebuild Wellesley fences by replacing rotten wood posts, and repairing broken gates. When seeking fence installation in Wellesley, J. Mota Services stands above the competition. They offer the Wellesley fence work at affordable prices, along with a satisfaction guarantee. J. Mota Services's Wellesley fence workers stand their work, and ensure your job is done properly and in a timely manner. For quality fence installation or repair in Wellesley Massachusetts, call J. Mota Services at (781) 281-9282 and get your Wellesley fence work started today!